We are so happy to announce that candy buttons are now available again. After Necco candy company closed it's doors there were so many candies that were no long available. 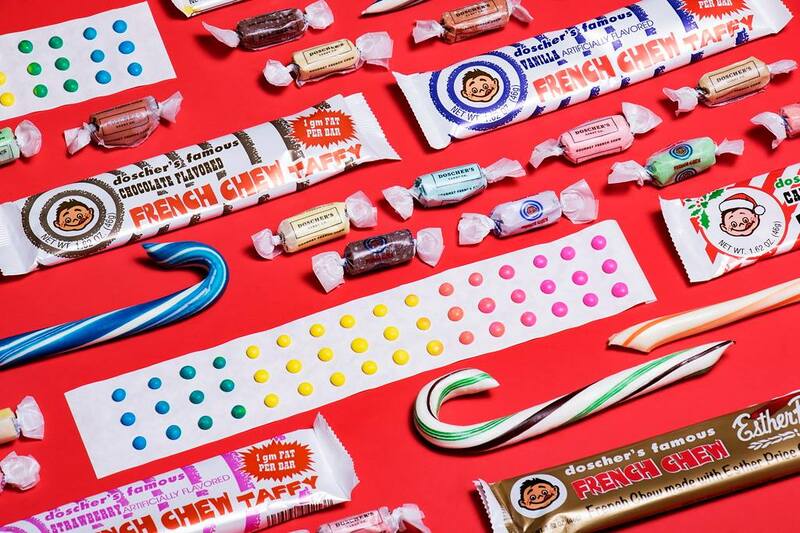 The fate of many of these candies had everyone panicking to get their hands on their favorite old time candies. Doscher's candy company purchase Necco's candy buttons and have added them to their candy line. 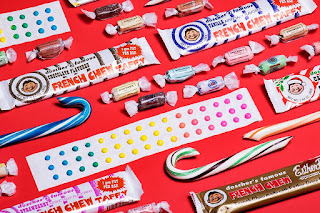 They are also the makers of the famous french chew taffy and gourmet candy canes. By buying the necco candy buttons Doscher's not only has made many candy fans happy , but this family run business as also created about 25 new jobs. It's a win win for everyone. Candy buttons are one of those old time candy favorites even though when you would try and peel them off the paper you usually ended up with some paper in your mouth. Heck that was half the fun of eating them. There were found in every corner candy store and then they were just a penny or two for a strip. Many of our customers love to share their candy memories with us from when they were a kid. With candy buttons the majority of the stories were how they would also play doctor and use these sweet little buttons as medicine. These were very popular and a big deal back in the day. Now I am not sure kids are to fond of them, it's to much work to get them off the paper. It's funny that now with the amount of different candies available many of us adults go right back to the oldies. Candy Buttons, Zagnuts, Bun Bars, Kits, BB Bats, Charms Suckers all the candy we ate as kids. Each box of candy buttons had 24 individually wrapped packs. Each pack as 2 strips of paper dots. Thanks Doscher's candy company for bring back an old time favorite candy that we thought would be gone forever.